It took Canadian director Jeffrey St. Jules ten years to bring his passion project Bang Bang Baby to the screen. Now, this unique and risky film has been awarded the City of Toronto Award for Best Canadian First Feature Film. 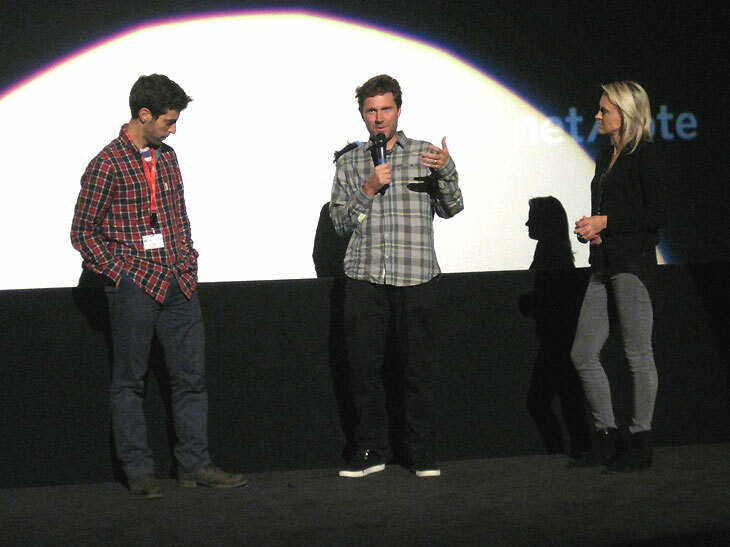 From the moment this film was announced as part of the line-up at this year’s festival, people have been intrigued. This is a bizarre stylized 1960’s sci-fi musical mash-up that, as odd as it may sound, actually works quite well and is an enjoyable experience. Stepphy (Jane Levy) is a plucky teenager who takes care of her ill father (Peter Stormare), runs his auto-repair shop, and dreams of being in the music business. The object of her affection, like most girls her age, is heartthrob singer Bobby Shore (Justin Chatwin). Wanting to escape her small town life, Stepphy applies to the American Ingénue Singing Competition in Manhattan, in which she is accepted. Her father denies her from participating and she feels devastated until none other than Bobby Shore himself comes to town in need of a car repair. While fending off advances from Fabian (David Reale), the owner of the mysterious Purple Mist chemical plant in town, Stepphy tries to catch Bobby’s attention and convince him to let her sing for him, in the hopes that he’ll sweep her off her feet and take her to America to fulfill her dream. However, due to a leak at the chemical plant, they become trapped in town as strange mutations begin to change everyone around them. The curiosity towards this film comes from wanting to see if the director can pull all the pieces together to make this concept work. He succeeds in doing so by convincing everyone involved with creating film, from the crew to the entire cast of actors, to fully commit to the execution of this idea. The film knows it’s a throwback parody and does not take itself seriously, and if the viewer knows this, then it’s an amusing journey. 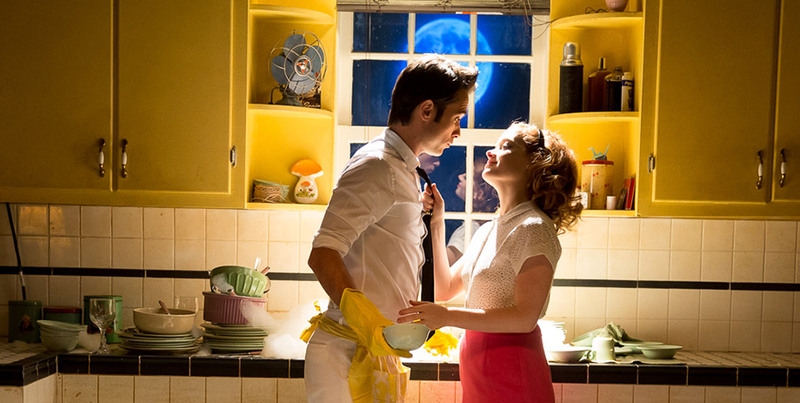 At its core, it’s really a film about dreaming big and familial responsibilities. All of the songs in the film were written by the director as well, with the assistance of composers and lyricists. They are reflective of both the time period they are spoofing and relevant to the plot of the film. Several of the songs are particularly memorable and catchy, which become some of the high points of the film. 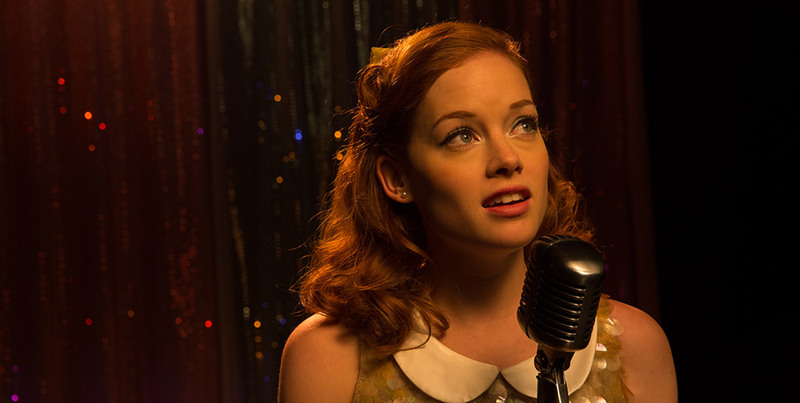 Jane Levy, who sings all her own songs, has a charming and charismatic presence on screen making her particularly memorable. This is definitely a film that stands out from the crowd. If the viewer goes into it knowing what kind of film it is, that it stylized and campy on purpose, and they allow themselves to not take it seriously, then it will be entertaining. A labour of love, this is a striking and fresh take on the movie musical that will have the audience humming the tunes as they leave theatre and makes director Jeffrey St. Jules one to watch for in the future.